Mercedes-Benz has introduced a new variant to its GLE-Class line-up (previously M-Class), the GLE 450 AMG 4Matic. 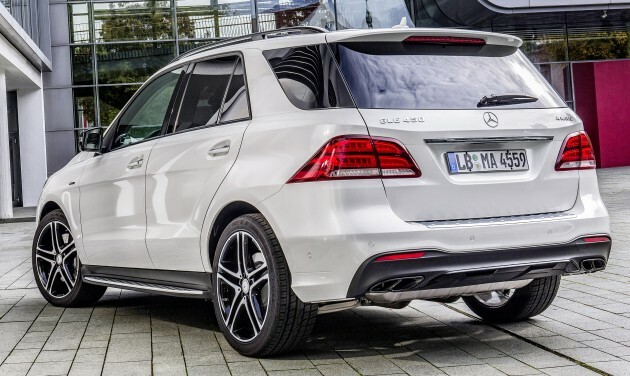 It occupies the slot between the GLE 400 4Matic and the plug-in hybrid GLE 500e 4Matic. The new variant is part of Stuttgart’s AMG Sport range, receiving just a tinge of Mercedes-AMG know-how, including styling and performance tweaks, but without the ludicrous amount of power as you might find on the full-blown GLE 63. It is also the third model in the range, after the C 450 AMG and GLE 450 AMG Coupe. Like the two cars mentioned, under the hood is a 3.0 litre direct-injection V6 bi-turbo petrol engine. 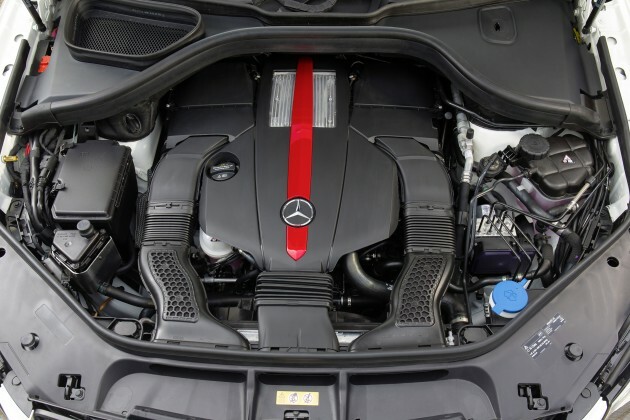 Power output is rated at 367 hp between 5,500 to 6,000 rpm, and 520 Nm of torque from 2,000 to 4,200 rpm, representing an increase of 34 hp and 40 Nm over the standard GLE 400 4Matic that uses the same but detuned powerplant. The engine is mated to a 9G-TRONIC nine-speed automatic transmission, and as the full nameplate suggests, drives all four wheels via the 4Matic permanent all-wheel drive system. It has a rear-wheel drive bias, distributing 40% of the torque to the front axle while the remainder heads to the rear. The AMG rear axle transmission packs a shorter ratio of 3.47:1. Performance-wise, this translates to a 0 to 100 km/h sprint time of just 5.7 seconds, and a top speed of 250 km/h. Where being economical is concerned, the SUV has a claimed NEDC combined fuel consumption figure of 8.6 litres per 100 km. On the handling side of things, the GLE 450 AMG 4Matic gets the Airmatic package that includes all-around air suspension, infinitely-variable adaptive damping system (ADS Plus) and automatic level control. A more direct steering ratio of 17.4:1, as part of the new Sports Direct-Steer system, is also part of the package. Five driving modes are selectable to modify the behavior of said Airmatic system: Individual, Comfort, Slippery, Sport and Sport Plus, with the final two adjusting the ride height to be 15 mm lower. Of course, the performance enhancements are matched with visual buffs as well, and on the GLE 450 AMG 4Matic, this includes two chromed twin-tailpipes, 20-inch five-spoke light-alloy wheels finished in black and high-sheen, wrapped with 265/45R20 tyres. Bigger 21-inchers are available as an option. Unique trim pieces in black and silver chrome round off the exterior changes. For a little extra, the Night package can be tagged on as well. Inside, nappa leather can be found on the flat-bottomed sports steering wheel with the option to upholster the seats in the same material as well. Certain trim parts are made with aluminium, carbon-fibre, and black piano lacquer. Elsewhere, the instrument cluster receives new-design round dials and an expanded speedo that rears up to 280 km/h. Additional cost options include the more feature-packed COMAND Online multimedia unit and a Bang & Olufsen BeoSound surround sound system. Standard equipment includes Mercedes-Benz’s safety suite. Adaptive Brake, Attention Assist, Collision Prevention Assist Plus, and the Pre-Safe system are packed in. This can be expanded to include Distronic Plus and the Driving Assistance package Plus too. Fucuking Mercs & BMW keeps making somany car variant that i cant even keep track on which is which. 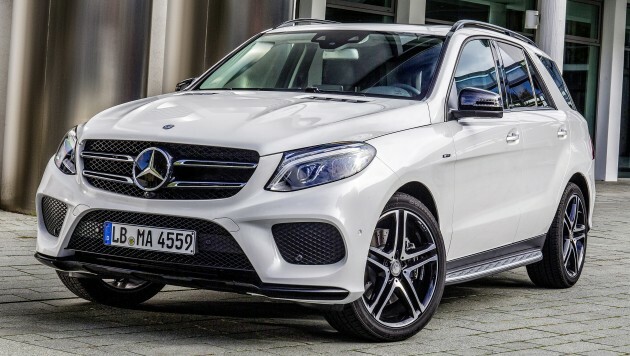 Merc is not good in SUV, X5 and Cayenne are the leaders. very unlucky for most malaysian, the cars are expensive like hell!